Matt was born and raised on Long Island, NY. It was there, that he had his first encounters with extreme weather. Hurricane Belle struck in 1976. Matt vividly remembers huddling in a hallway with his family, while the house shook from the ferocious winds. In 1985, Hurricane Gloria came roaring ashore. Matt and his father watched, as huge oak trees cracked like twigs in the front yard. Matt recalls, “When the trees snapped, it sounded like gunshots”. But it wasn’t until college, when Matt married his love of weather with television news. He met a local TV meteorologist at a Clemson baseball game. An invitation was extended to tour the TV station in Greenville, SC. Matt took him up on the offer, and a career was born. After earning a B.S. in Marketing from Clemson, Matt enrolled in Mississippi State’s nationally renowned Broadcast Meteorology Program. He graduated with high marks, and went on to obtain Television Seals of Approval from the American Meteorological Society. 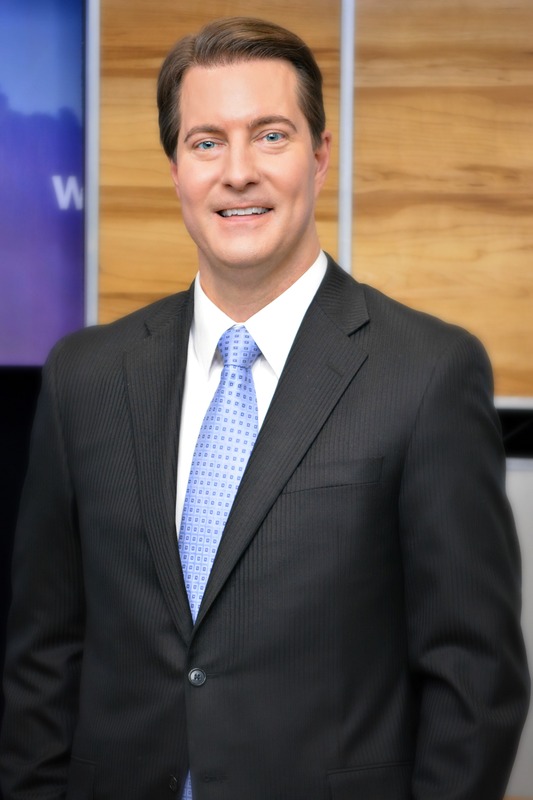 After 20 years of broadcasting, Matt has covered just about every kind of severe weather event. But his favorite weather, is still sunshine and 75 degrees. Growing up on Long Island, the ever-changing weather intrigued me. There are four distinct seasons there, and the marine climate always poses threats. Heavy winter snow and blizzards, Nor’easters, and the occasional hurricane. Spring storms and summer humidity are also a given. As a kid, I was more concerned how the weather would affect my BMX race, or my little league game. But, as I grew older, I started to become curious about how it all worked. I started paying attention to the weathercasts from the TV stations in New York City. I would watch local news, specifically for the weather. I admired the meteorologists, for their knowledge, and for the information they shared with the public. I even took a tour of the NBC Studios, so I could see where they worked. A few years later in college, I met a local meteorologist by chance. He invited me to his station for a tour. It immediately clicked. I realized that’s what I wanted to do for a career. I eventually became a weather intern at that station. When weather literally hits home, it makes quite an impression. Hurricane Belle struck Long Island when I was 5 years old. I don’t remember very much from that year, but I do remember that night like it was yesterday. The wind, the noise, the house shaking. I learned very young, that Mother Nature is boss. It gave me a very distinct appreciation for the power of weather. That appreciation, remains with me today. My passion is travel. I live by the motto, “I’ll go anywhere once”. Nothing beats a good road trip. I’ve been to all 50 states, 48 state capitals, (I am coming Juneau and Albany), Canada, Mexico, the Caribbean, and most of Europe. But there are still many places I’d like to visit. Japan and New Zealand are high on the list. I love the outdoors. Hiking a new trail is a thrill for me. I like to exercise regularly. And I love to watch live music. I enjoy all kinds of music. Classical, rock, classic rock. A great concert, is a close second, to a good road trip. My maternal grandparents were first generation Americans. They grew up with very little, during the Great Depression. But they were determined to succeed, and make a better life for themselves. They were honest, hardworking, and dedicated. They were true examples, of the American Dream, that anything can be achieved, if you use your mind, and work hard enough for it. Little by little, one can travel great distances, and accomplish amazing things. When I was eleven, I made my broadcast debut on a classic rock radio station, WRCN, in Riverhead, New York. My father drove me to the station before school. Everybody I knew was listening. They told me 50,000 other people were also listening! I became horribly nervous. Then, I was introduced as the “Youngest guest comedian, in the history of guest comedians”. The butterflies went away, and I told corny jokes for about 10 minutes. Some of my classmates taped it, and played it back during recess. It was cool to hear my jokes on the playground. The main goals of a broadcast meteorologist, are to inform, educate, and save lives. The advances in technology over the past twenty to thirty years, have been nothing short of amazing. Radars are more precise. Computer models are more accurate. And even the maps and graphics we use on television, have greatly improved. Viewers can watch and understand what’s happening, much easier, than ever before. It is my hope, that the weather community will continue to strive for more accurate forecasts, and longer lead times, warning people of severe weather.